100 years, and counting. When M. L. Seidman founded Seidman & Seidman in 1910, there were just over 2,000 accountants in the entire United States. Armed with an unfailing commitment to exceptional client service, the firm quickly expanded both its services and geographic reach across the country. In the early 1960’s, alliances were created with like-minded firms in Canada and throughout Europe, and by the 1980’s the global network had been established – and the firm was renamed BDO Seidman. Today, BDO’s entrepreneurial spirit lives on, and the firm continues its history of growth as it expands around the world. Yet, no matter how large we become, we will continue to remain united under a common purpose: helping people thrive, every day. For more information, please visit www.bdo.com. Armanino is the largest independent accounting, consulting and business management firm based in California. We are a national leader in serving private and public companies, as well as nonprofits, wealthy individuals and families. We provide four main services—audit, tax, consulting and business management—and work with clients in a large range of industries including entertainment, technology, manufacturing, professional services, nonprofit, education, real estate and healthcare. In addition, our global footprint extends across more than 120 countries through our membership in Moore Stephens, an international accounting and consulting organization. Notably, we have a depth of experience serving Asian clients who are interested in investing in U.S. businesses. Wherever you are, we can support your individual and business goals. Visit our website at www.armaninollp.com. Fifth Third Bancorp is a diversified financial services company headquartered in Cincinnati, Ohio. As of Dec. 31, 2017, the Company had $142 billion in assets and operates four main businesses: Commercial Banking, Branch Banking, Consumer Lending and Wealth & Asset Management. Fifth Third is among the largest money managers in the Midwest with $362 billion in assets under care, of which it managed $37 billion for individuals, corporations and not-for-profit organizations through its Trust and Registered Investment Advisory businesses. With more than 155 years of experience, Fifth Third has the expertise, leadership and innovative technologies to help your organization succeed in a rapidly changing global marketplace. For more information, please visit www.53.com/commercial. Member FDIC. MovieCoin is a next-generation financial technology company focused on leveraging blockchain technology, proprietary applications and cryptographic tokens to become the leading entertainment transaction platform for businesses and consumers and the standard currency for funding motion pictures, television and other media. 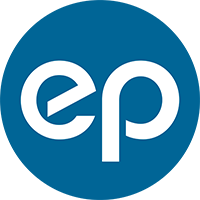 The Company has operations spanning content finance and production, business and consumer services and technology development and licensing. MovieCoin’s content finance and production businesses offer programmatic ownership of filmed entertainment assets to financial investors seeking institutionalized exposure to premium content, while the technological development of its digital assets platform utilizes cryptographic tokens to provide businesses with innovative solutions to streamline operations and entertainment enthusiasts with unique and more engaging ways to participate in the movie experience. The Company has offices in Vancouver, British Columbia and Los Angeles, California. For more information, please visit www.movie.io. As the pioneer of the Hollywood research industry, NRG is the go-to firm for decoding audiences around the globe. Our expertise in brand management, content strategy and storytelling puts us at the intersection of entertainment and technology. We provide insights and actionable strategies for content creators and marketers from Disney, Netflix and Amazon to cutting-edge OTT, gaming and social brands. Our cutting-edge research methodologies, rooted in 40 years of industry expertise, push the envelope and challenge conventional thinking. For more information, please visit www.nationalresearchgroup.com. Digital LA is the largest LA-based networking group of professionals in tech, startups, digital entertainment (movies, TV, music, games, VFX), social media, marketing, and advertising, reaching more than 80,000 members weekly via its newsletter, Facebook, Twitter and LinkedIn groups. digitalla.net@DigitalLA. Want to learn how to code? Have a great idea? Don't be shy, develop it! 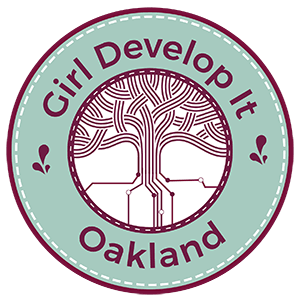 Girl Develop It is a nationwide nonprofit organization whose mission is to create welcoming, supportive opportunities for women and non-binary adults to learn software development skills. We envision a world where all people are included and empowered in developing the future of technology. By teaching people from diverse backgrounds to learn software development, we can improve their careers and confidence in their everyday lives. Launched in 2015, Modernist is a private social club with a mission to build an amazing life-long community in San Francisco and around the world. WIth the dream of having their own living room with friends, the partners got 100 of their friends together, and Modernist was born. As a community, we invest, learn and have fun together. On regular days, you can unwind, savor cocktails crafted by award-winning mixologist, sip on rare whiskies, and enjoy private Japanese dining experience by Akiko’s inside the Modernist. On nights filled with entertaining and thought provoking programs, you can find yourself participating in fireside chats or magic shows. We look forward to hosting you at our clubhouse. Silicon Valley Indian Professionals Association (SIPA) is dedicated to creating value for its members through programs that foster professional growth and personal enrichment. It reaches 30000 of Silicon Valley corporate leaders, entrepreneurs, venture capitalists, as well as technology and business professionals, representing almost every major company in the area. www.academy.ca. Amy Baker | 917.992.6118 | Send Message Now!